Welcome to Hampton Roads Retina Center! Here you will find information about the practice, the services we provide, maps to our offices and forms to download. Our practice specializes in the treatment of diseases and surgery of the retina, macula and vitreous by providing state-of-the-art technology and treatments. Log into our Patient Portal. Give us a call at 757-436-0011. Hampton Roads Retina Center was established in 2002, by Jon M. Adleberg, M.D., to provide care for the greater Hampton Roads area. Our offices are currently located in Chesapeake and Virginia Beach, VA.
We care for a myriad of diseases that affect the eye. The most common of which are: Diabetic Eye Disease and Age- Related Macular Degeneration. 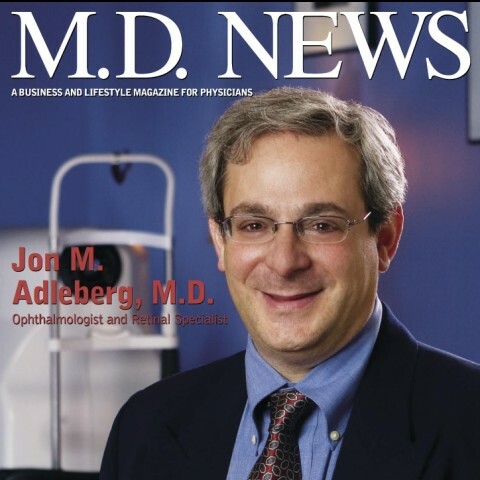 Dr. Adleberg has been involved in multiple national and international clinical pharmaceutical trials and taught and performed volunteer work throughout the world. Our office is equipped with advanced imaging for retinal diseases, including Spectral Domain OCT, ophthalmic ultrasound, and fluorescein and ICG angiography.